We’re confident you’ll love the quality and convenience of Diet-to-Go as much as we do. With Diet-to-Go, what you see is what you get. 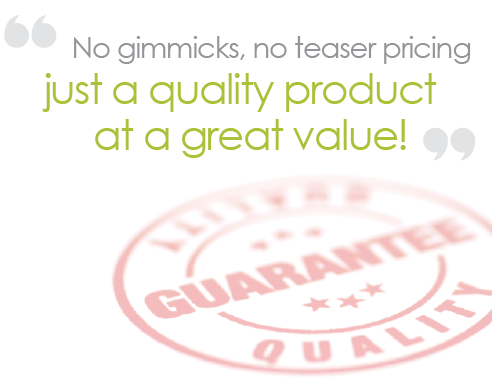 There are no gimmicks, no teaser pricing, just a quality product at a great value. At Diet-to-Go we don’t believe in manipulating price to bait you into a long-term commitment you can’t get out of, or hitting you with extra fees. You’ll simply be charged a fair price for what you order, and you can always put your order on hold or cancel it. And, with our 100% satisfaction guarantee, if for any reason you are unhappy with your order or our service, we’ll make it right or refund your money. It’s that easy. With Diet-to-Go you can order with confidence knowing there are no surprises; just fresh, healthy, delicious meals at a reasonable price.